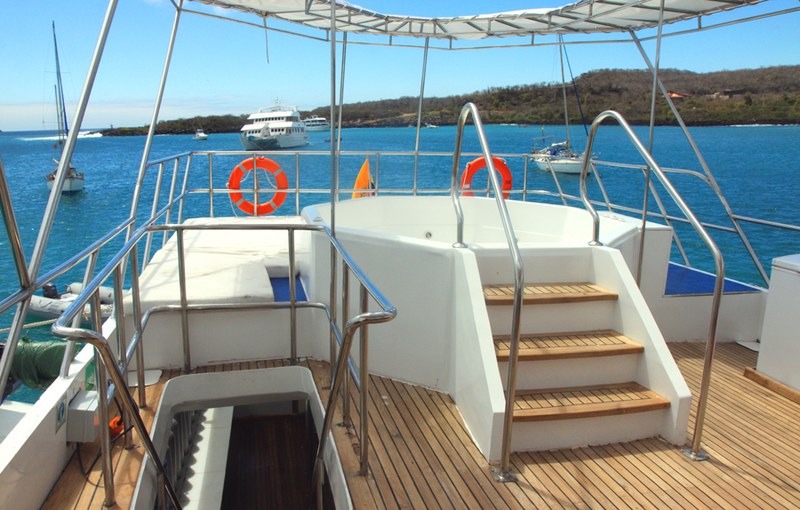 The wonders of the Galapagos diving experience will be with you for a lifetime. 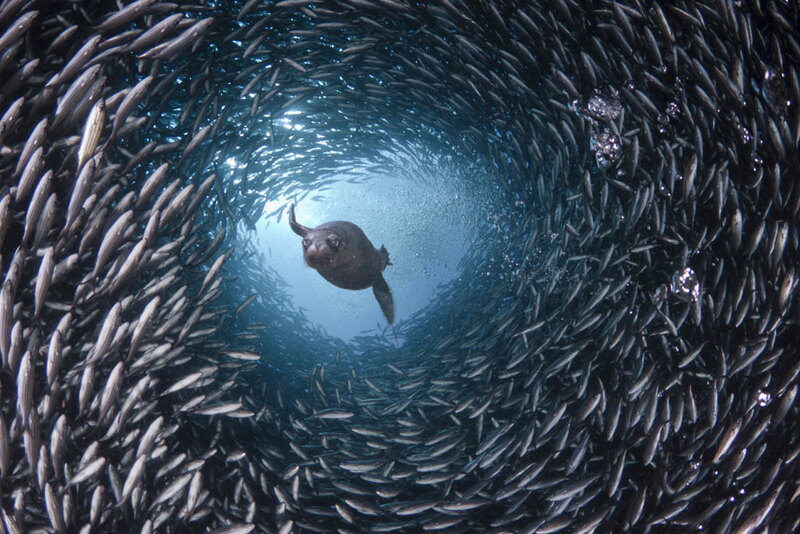 Few will have the opportunity of diving some of the most remote and pristine seas in the world. 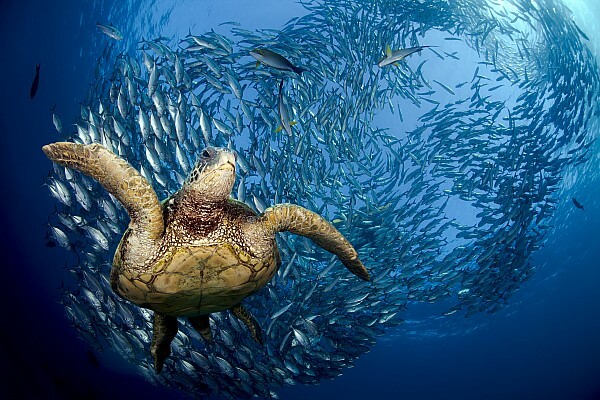 No other place on Earth boasts such a variety of sea and land life. Your seven nights and eight days will be filled with memories to last a lifetime – thrilling dives, exotic vistas – and these will be only a small part of your experience. 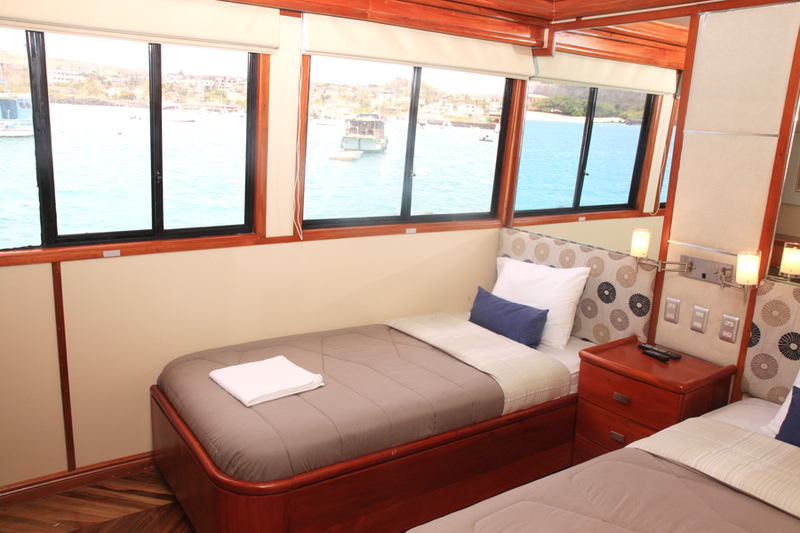 The Galapagos National Park guides have a wealth of knowledge about these unique volcanic islands and are ready to share their experience with every guest, as well as provide you with the customer service and all of the amenities for which the Explorer Ventures Fleet is known. Diving the Galapagos can be challenging, but the rewards are great – schooling hammerheads, Galapagos sharks, whale sharks, mantas and myriad other pelages frequent these waters. 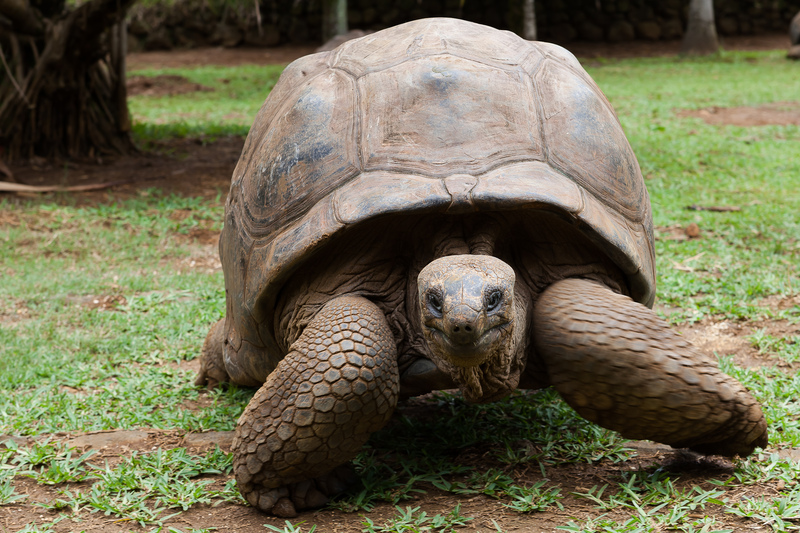 Nature’s bounty is not confined to the waters, of course – Charles Darwin’s work concentrated largely on the rare terrestrial ecosystems, which abound with flora and fauna unique to the archipelago. 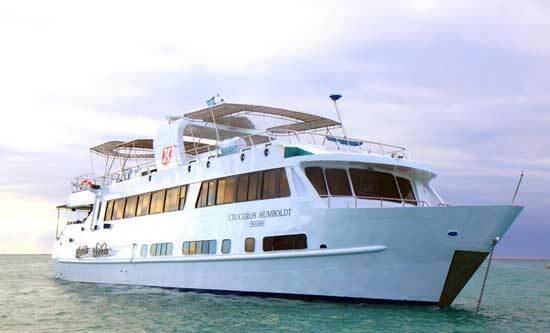 The Humboldt Explorer, which began construction in August 2009 is now providing guests with exceptional amenities. 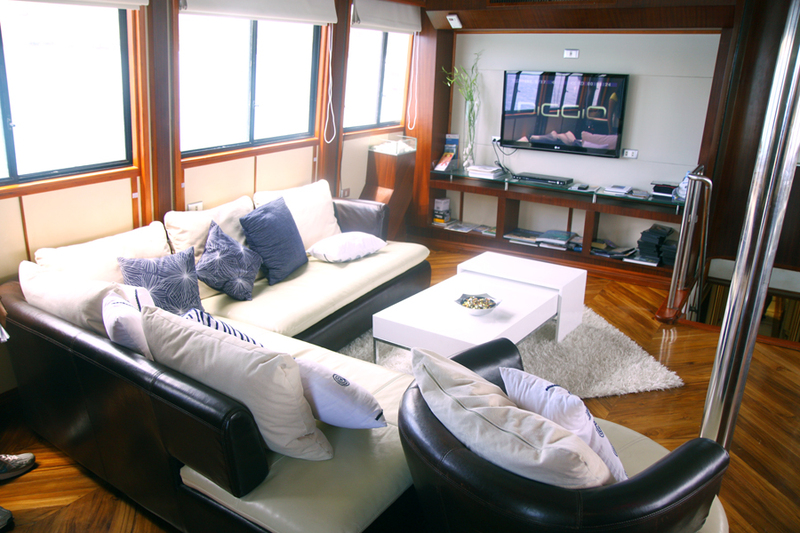 All cabins are air-conditioned and have private bath and showers, an ocean view, flat screen televisions and can be arranged to provide 2 twin beds or one large bed depending on guest needs. 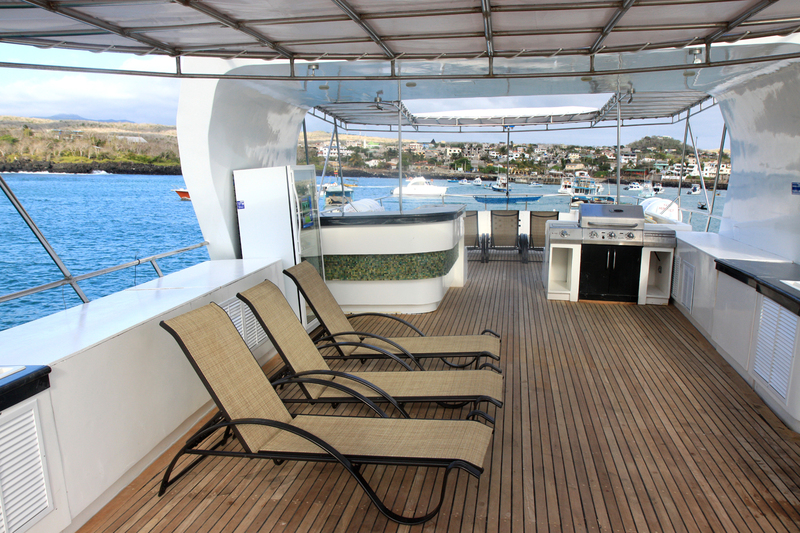 A partially covered sundeck with jacuzzi and ample seating areas, a salon including a lounge area, a spacious dive deck with a large camera table are just some of the features. Accommodations: 16 passengers in 8 air-conditioned rooms on main and lower decks, all with private bathrooms and showers. 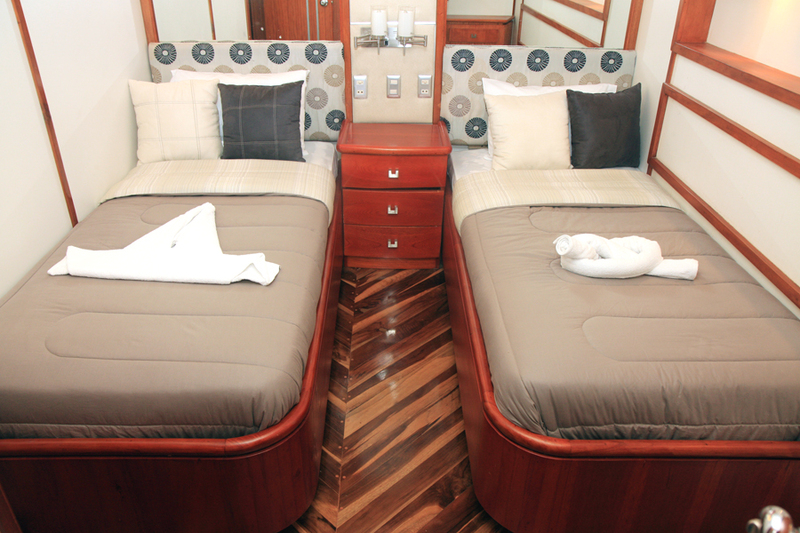 All rooms except rooms 3 & 4 (forward belowdecks) can be converted to either one queen bed or two twin beds. Up to 7 crew and 2 guides in crews’ quarters. Your underwater adventures in the Galapagos will encompass everything from sharks to nudibranchs, and more. The islands are best known for amazing shark diving around Wolf and Darwin Islands. These small and remote islands are best reached by liveaboard vessels for divers. Your diving experience here will generally include Galapagos sharks, silky sharks and lots of schooling hammerheads being cleaned by king angelfish. Seeing marine turtles, schools of tuna, eagle rays, and sea lions is very common and seeing a whale shark is very possible from June through November. All the islands you travel to are amazing sites for underwater photography.